This class consists of KACHOSAN, KASAGISAN, KASUGASAN and KATSURAGISAN MARUs completed between Feb and Jul ’25 for Mitsui Bussan K.K. 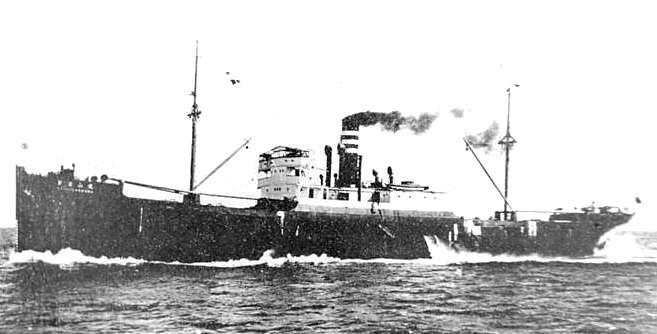 KACHOSAN and KATSURAGISAN MARUs were requisitioned by the IJA, KASAGISAN MARU by the IJN in ’41 and converted to an auxiliary transport. Those three ships were sunk in ’44 and ’45 from various causes. KASUGASAN MARU survived the war and was broken up in ’65. Propulsion: One reciprocating triple expansion steam engine, 1 shaft, 1,200 n.h.p. Speed: 10 cruising, 12 max.